2012 was a big year for tablets. Apple launched two full-sized iPads and the iPad mini, and even Microsoft got in on the game, with the first batch of Windows 8 and Windows RT tablets, such as the Microsoft Surface. Not much is yet known about what will come next year, but a lot can be deduced - or at least guessed, based on what we've already seen. It doesn't seem too much of a stretch to imagine that Google will unleash a new wave of Nexus tablets at some point in the year. Their Nexus phones have all been spaced roughly a year apart and much of the rest of the industry seems to work in the same way. The Nexus 7 was announced at Google I/O in June and released the following month. If the same thing happens again we could have a new Nexus tablet in as little as six months, though bear in mind that the Nexus 10 was only released in November. The Nexus was a huge hit for Google; can they keep that momentum? What we may get is a new Nexus 7 (or whatever Google choose to call it) in the middle of the year, along with a tweaked version of the Nexus 10 with 3G capabilities, since the Nexus 7 already has that. Then towards the end of the year we might get a whole new Nexus 10. Since the two were launched a good few months apart in 2012 it's entirely possible that the same will hold true next year, but one way or another we're pretty confident that there'll be a new version of each of them before the year is through. So, what can you expect from them? Well, even more cores seem likely for a start. ZTE and Samsung are already talking about handsets with a whopping eight cores and Google's flagship devices don't normally skimp on specs. They're also likely to coincide with a new version of Android, as new hardware is always the best way to show it off. That's thought to be Android 5.0 Key Lime Pie, and if that '5.0' sticks you can expect some pretty big changes or additions compared to the last two versions (Android 4.1 and 4.2), which more just refined what we already had. We can also tell you something that you aren't likely to see - a microSD card slot. For whatever reason Google have shunned the feature from all of their Nexus devices to date, and there's no reason to think they'd start incorporating one now. It's an odd decision, as for some people that expandable storage is one of the key selling points of Android devices, but it's one they've stuck with so far. This one's a given - Apple release a new iPad every year - and in fact last year they released two! Three if you count the iPad mini. Despite the iPad 4 only just having launched, the wait for a new iPad might not be long, as it's rumoured that the iPad 5 might even appear early in the year and display a slimmer, lighter form factor, more in line with the iPad mini. Apple isn't likely to forget about the iPad's little brother either and it's a pretty safe bet that we'll see the next iPad mini launched in 2013. 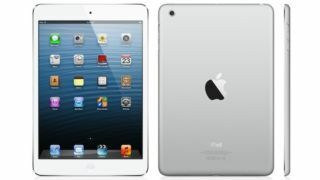 In fact, the first one might have only just been released but there are already rumours about the iPad mini 2. It should come as absolutely no surprise that the biggest addition is likely to be a Retina display or something similar, bringing the display up to a rumoured 324 pixels per inch.